Philips Lighting, one of the best manufacturers of lighting products, became the first of its kind in its industry to release a chatbot. With the help of the Philips Lighting Singapore chatbot, you can purchase their products on Facebook Messenger. The Philips Lighting Singapore chatbot is designed to make your life easier when you have to select from a myriad of products. How will the chatbot fare against our expectations? Well, let’s find out! As Philips Lighting Singapore chatbot is available only on Facebook Messenger, you need to activate it. To do so on Facebook Messenger, you have to select ‘get started.’ The chatbot will introduce itself and inform you that it is still learning at the moment to improve its services. As the chatbot is a Singapore-based chatbot, you can only purchase Philips Lighting products on Facebook Messenger only if you live in that city. However, Philips Lighting may decide to extend their services to other cities. 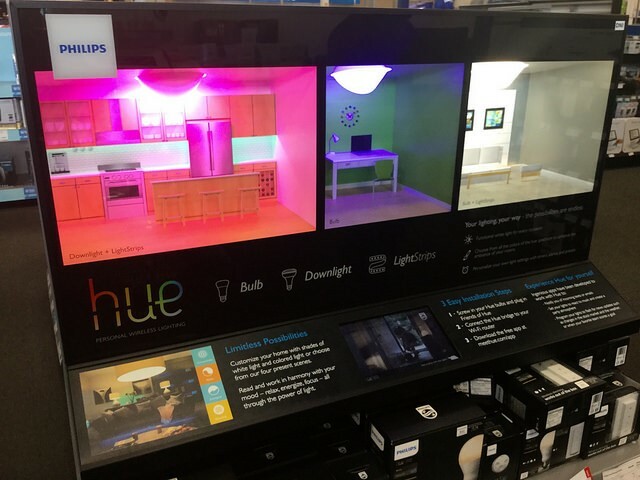 If you select lights, the chatbot will show you a range of Philips Hue products. Below each of these products, the chatbot shows their price. If you want to find out more about these products, you can select ‘more details.’ The chatbot will open a window within Facebook Messenger, which contains all the details about the products. If you want to purchase these products, you have to select on ‘add to cart.’ The chatbot will ask you if you want to continue shopping for more products or whether you want to check out immediately. If you select the checkout option, the chatbot will open a window on Facebook Messenger, where you can complete the purchase. Keep in mind that this feature is available only on the mobile version of Facebook Messenger. If you use Facebook Messenger on your laptop or desktop, the chatbot will ask you to use your smartphone to go ahead with the purchase. If you click on lamps, the chatbot will ask you to select from its range of lamp base types such as E27, E14, GU10, MR16, and 2P. Depending on what you choose, the chatbot will ask a series of questions before it suggests products. For example, if you select GU10, the chatbot will ask you about the color temperature of the lamp – 2700K, 3000K, 4000K, 6500K, and no preference. Each of these color temperatures has a small description about the lamp’s color. The chatbot will show you a range of Philips Lighting products that you can purchase on Facebook Messenger. Similarly, you can ask the chatbot to suggest Philips Lighting products for downlights and ceiling lights. You also have the option of looking for Philips Lighting products. To do so, you need to go back to the main menu and select ‘discover.’ Over there, you can search for Philips Lighting products according to the product name or model number. For example, if you type Philips Hue, the chatbot will show you its range of these products. You can also join the Philips Hue Insiders Club with the help of this chatbot. If you select this option, the chatbot will ask you to agree with their terms and conditions. Once you finish this step, the chatbot will ask you to share your email address so that it can send you updates about Philips Hue events and deals. If you select any of these options, the chatbot will provide the necessary information. Overall, Philips Lighting Singapore chatbot on Facebook Messenger does make life easier for its consumers. You can get all the important information regarding Philips Lighting products on the messaging app itself. On the plus side, you can purchase the product and get it delivered to your house. Do give Philips Lighting Singapore chatbot a shot on Facebook Messenger!